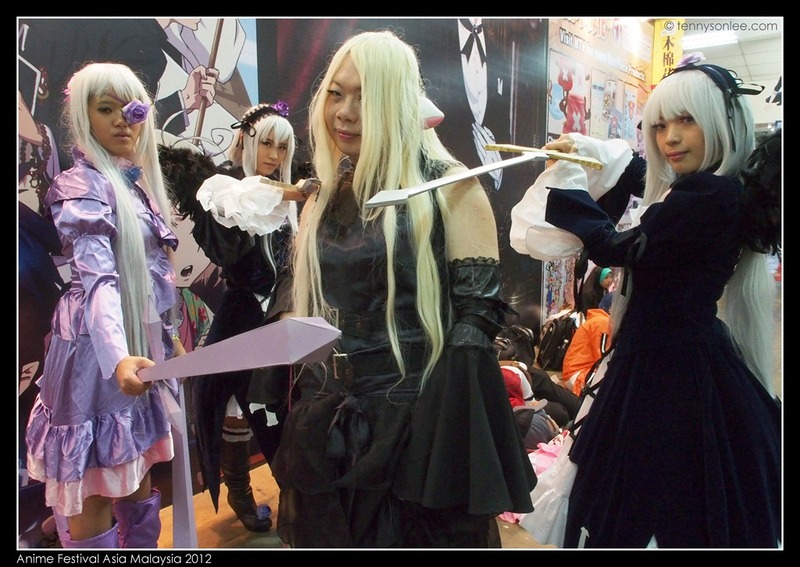 AFA 2012 debut in Malaysia today. 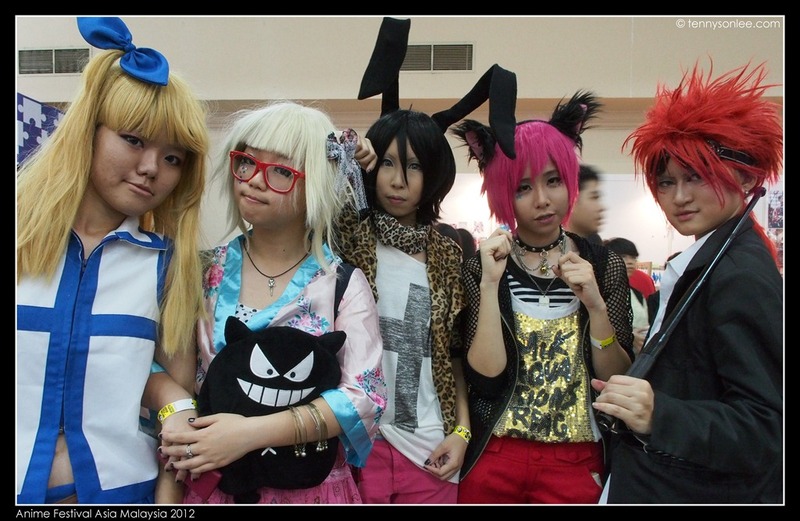 It was a carnival for the cosplay participants. There were shops, games and concerts on this 2-day festival. Canon is one of the sponsors (so there is a Canon Express lane for ticket and other camera booth). The queue early this morning exceeded few hundreds people. I think tomorrow will have fewer as many visitors purchased 2-day ticket. 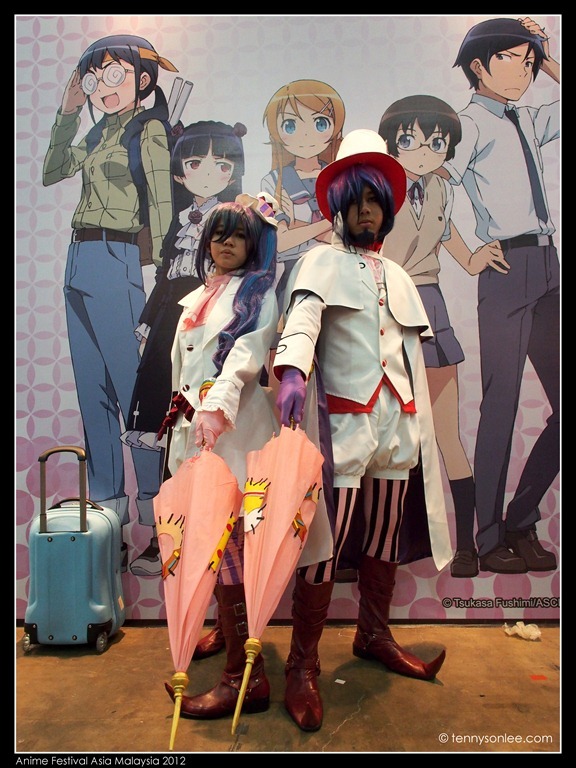 We won’t be going tomorrow because we just dropped by for few quick shots of the interesting cosplay costumes. What do you call one who does costuming? 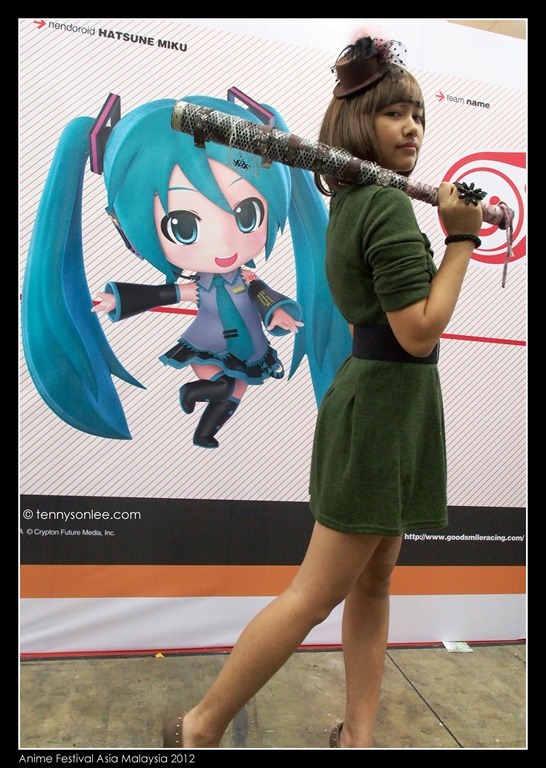 ‘’Custumer’ or ‘Cosplayer’? 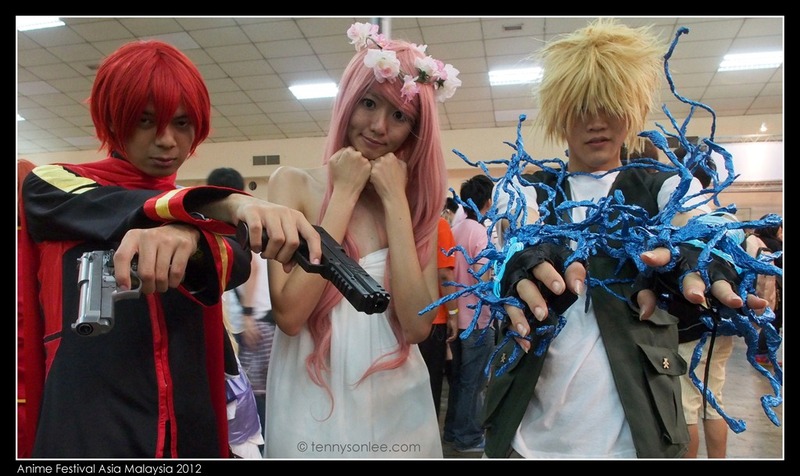 People who cosplay are also friendly to photographers. 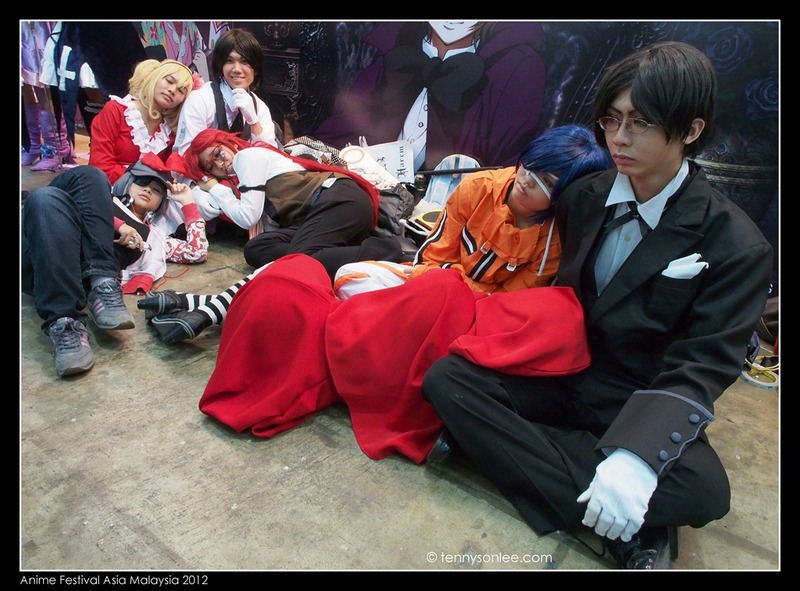 So I have to say a big THANK YOU to all the cosplayers who posed for my snapshot. 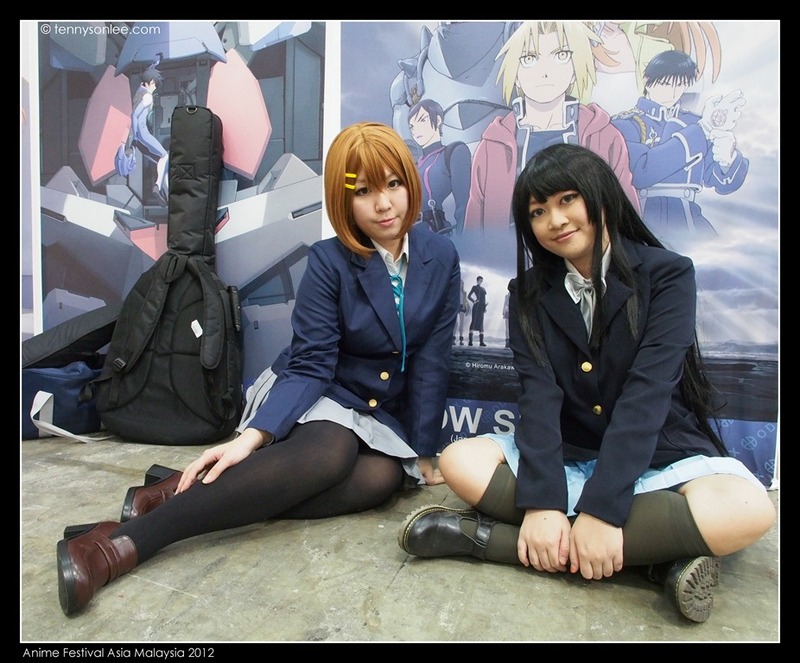 The layout at AFA MY 2012 was slightly better than ANIMAX 2012. 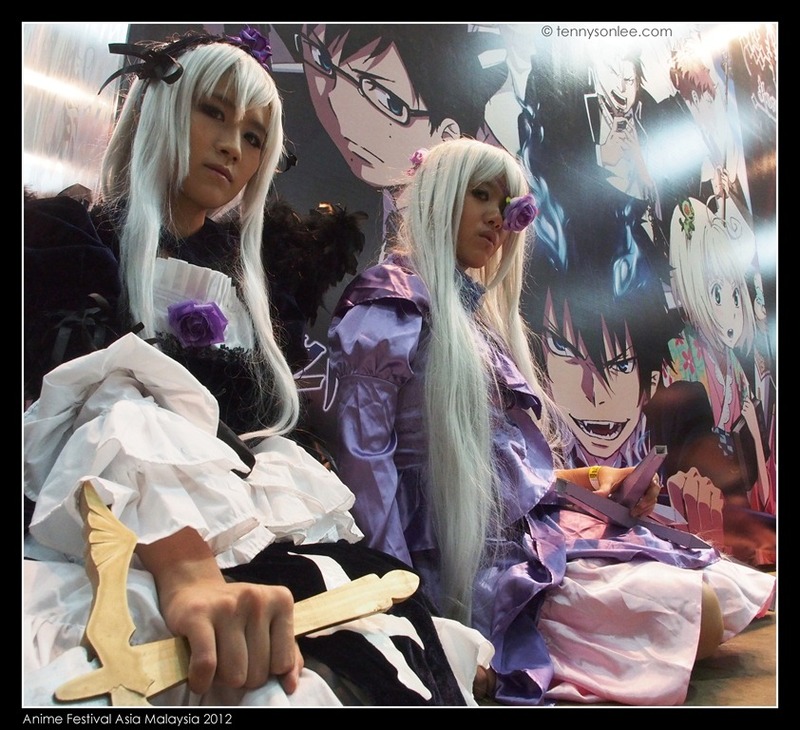 At least there were some black panels and white background suitable for photo. The wall posters were non-reflective or back-lit. Back-lit poster looks nice but it is a nightmare for camera’s dynamic range (contrast). 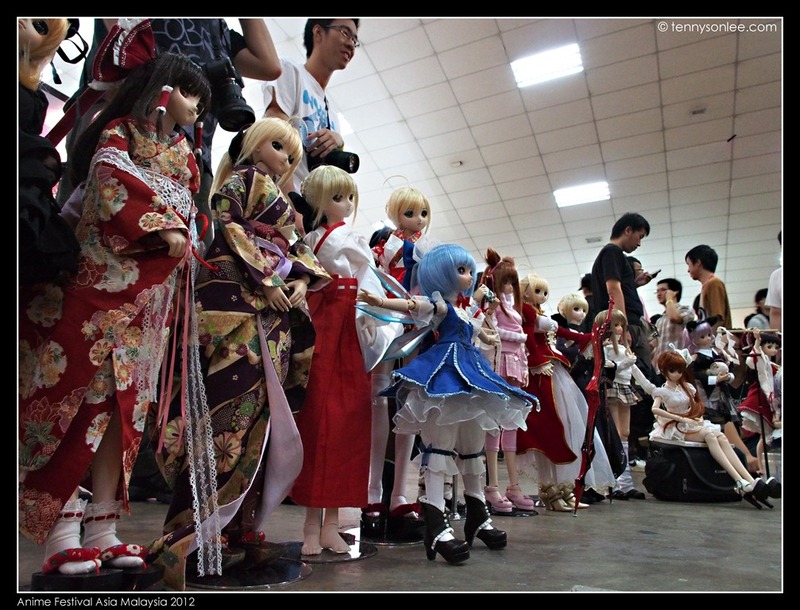 Due to the huge crowd, it was more challenging to get clean shot without the arms and legs in the background. There will be anisong (songs that I couldn’t comprehend, thus I didn’t pay for the concert ticket) tonight and tomorrow. 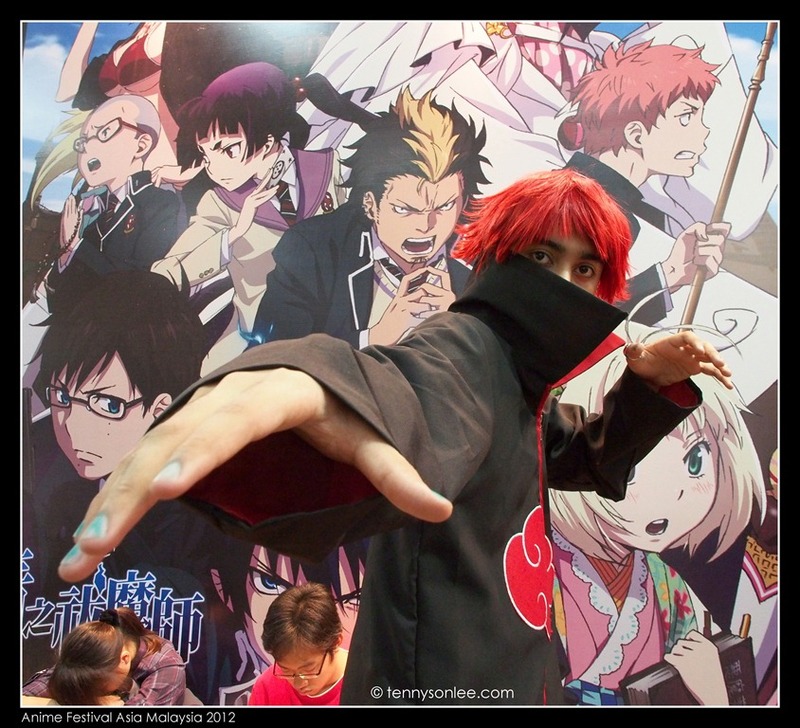 The anime fans will be hanging around and not to miss meet the celebrities. This entry was posted on June 9, 2012 by Tennyson. 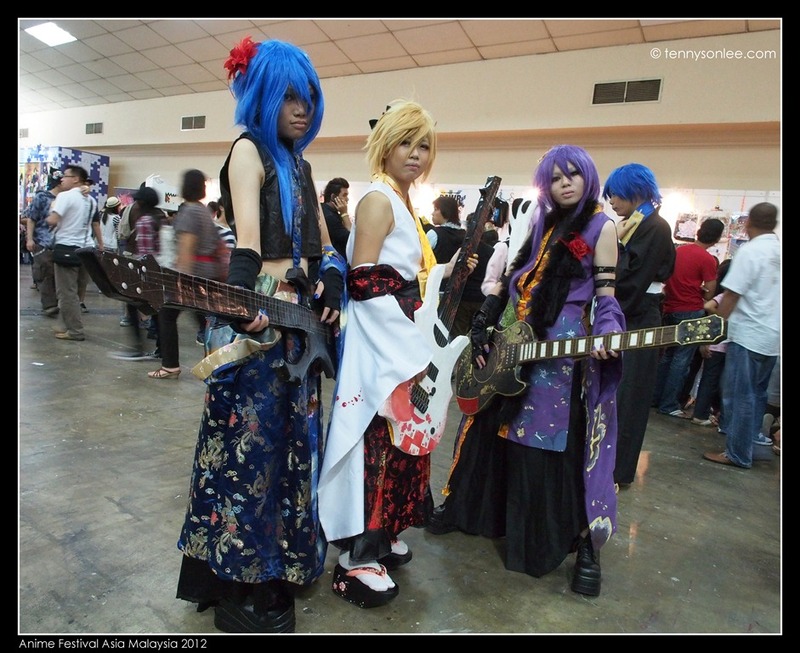 It was filed under Kuala Lumpur, Malaysia, Places and was tagged with AFA, AFA MY 2012, Anime Festival Asia, PWTC.